Athlos Acadamy of Jefferson Parish’s school meal program aims to improve the diet and health of school children, help mitigate childhood obesity, model healthy eating to support the development of lifelong healthy eating patterns, and support healthy choices while accommodating cultural food preferences and special dietary needs. The USDA School Meals Initiative for Healthy Children underscores our national health responsibility to provide healthy school meals that are consistent with the Recommended Dietary Allowances, age-appropriate caloric goals, and the Dietary Guidelines for Americans. Meals meet or exceed these standards and are nutritionally adequate, attractive, and moderately priced. Free and Reduced Lunch applications will be made available just prior to the start of each school year. Families should complete an application annually and whenever significant changes in income may occur. Parents are encouraged to pre-pay for their meals by bringing check or cash to the front office. 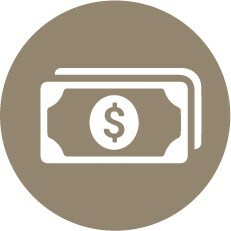 Online payments can be made one time or reoccurring by clicking the EZPay icon above. Students who do not return an application and/or are not eligible for free or reduced-price meals will pay full-price. Additionally, students who don't qualify for free meals may still be eligible for reduced-price meals.